Sign up and get 100 reward points FREE! Also, Earn points on every order! Celebrate your relationship and spread the love. And if your special someone happens to be a fan of period clothing, accessories and home decors; we're having a 15% off sale on everything in our store! 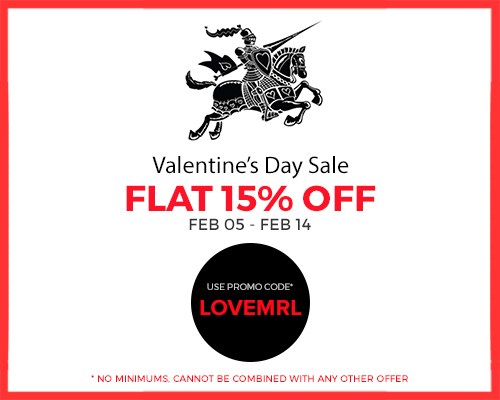 Use code LOVEMRL to avail the offer. The sale is valid through February 14th! Free shipping on orders over $200. *Valid on orders above $50. Applicable on all in-stock items.